One of the key mandates of the Access to Knowledge (A2K) program at the Centre for Internet and Society (CIS) is to work towards catalyzing the growth of the free and open knowledge movement in Indic languages. CIS has been a steward of the Wikimedia movement in India since December 2008. Since September 2012, we at CIS-A2K, have been actively involved in growing the movement in India through (i) a grant received from the Wikimedia Foundation (WMF) for the period September 2012 - June 2014, (ii) the FDC Grant received for the period July 2014 - June 2015 and (iii) the FDC Grant received for the period July 2015 - June 2016. Based on the productive experience of working with various Indic Wikimedia communities, CIS-A2K has developed this work plan for July 2016 to June 2017. Indian Wikimedia volunteers at the India Community Consultation organized by WMF. CIS-A2K team has immensely benefited from the interaction with Indic language Wikimedia communities. This was originally published on Meta-wiki on April 2, 2016. We have revised the work plan template taking into account the changed proposal plan sent out by WMF and in light of the feedback that we have received from FDC assessment during last proposal application. The FDC feedback is taken into account at the level of design, RoI and ensuring quality for all our activities. During the last plan period CIS-A2K received the following complaints, suggestions, and feedback. We have attempted to address the concerns under redesigned CIS-A2K 2.0. This table was first prepared during our progress report for the current grant and A2K would like to acknowledge the learnings derived out of the suggestions and feedback it received during the last plan. Please see the table here. CIS-A2K is working with the Indic Wikimedia communities since December 2008, when Jimbo Wales came to India and visited Bangalore. In mid-2012 CIS-A2K received a financial grant from the Wikimedia Foundation (WMF) and since then it has been actively involved in growing the Wikimedia and free knowledge movement in India. Following a grant received from WMF for the period September 2012 to June 2014, CIS-A2K received FDC Grant for the periods July 2014 to June 2015 and July 2015 to June 2016. Based on the 41-month experience of working with various Indic Wikimedia communities, CIS-A2K has prepared this year's work plan for July 2016 to June 2017. Building sustainable communities and grooming potential leaders to represent the communities and projects globally. CIS-A2K has focussed on creating sustainable programmes and capacity development for communities in the last few years. CIS-A2K intends to continue its work during the proposed grant period and would continue to focus on the following Indian language Wikimedia projects: Kannada, Konkani, Marathi, Odia, Telugu (Focus Language Areas, FLA). In order to achieve higher RoI, A2K will be including Tulu in its language plan from this plan period. CIS-A2K will continue to provide general support and service to all other Indian language Wikimedia communities for all Wikimedia projects as necessary and as requested by the communities or individuals from the community through its request page and needs assessment workshops. Community strengthening initiatives will be prioritised in order to address the poor participation of Wikimedians from Indian sub continent in particular and global south in general. CIS-A2K has rolled out initiatives such as Train the Trainer and MediaWiki training, focused edit-a-thons and GLAM activities. CIS-A2K and Indian language Wikimedia communities would greatly benefit from collaborating with these initiatives and CIS-A2K during this grant period would attempt to bring these communities closer with a series of interactions, hack-a-thons and training sessions. Our institutional partnerships have played a very important role in content donation, generation of content, attracting new readers and editors and collaborating opportunities with existing community members. They have provided much needed press coverage towards Indian language Wikimedia projects. The institution partnerships and WEP have been redesigned as per community suggestions. CIS-A2K has put in significant efforts across four focus language areas Kannada, Konkani, Odia and Telugu during the previous work plans. CIS-A2K proposed and initiated Marathi as a focus language project during the last proposal plan. As A2K's strategy of working with FLA has resulted in community building and sustainable outreach efforts, we intend to work with the nascent Tulu community towards making Tulu Wikipedia live. The Tulu Wikipedia plan is a 'minimal cost program' and is not budgeted same as the other FLA. A2K has been able to build a strong community in Mangalore for the Kannada and Konkani Wikimedia projects. Tulu community draws its editor base and institutional support from Mangalore, hence A2K's plans towards Kannada and Konkani Wikimedia projects can also have the added dimension of Tulu Wikipedia incubation activities. Development of Focus Language Area Plan: A2K's strategy of building a plan along with the consultation of the community and further customised as per the feedback received by communities and FDC Staff have resulted well across five languages. CIS-A2K is pleased to inform that during July 2015-June 2016 it engaged with all the five focus language area plans as it has been able to recruit program officers and program associates for the vacant positions. It is important to note that while we are engaging with Tulu Wikipedia community with intentions of making Tulu Wikipedia live, it is also a 'minimal cost' program. It helps A2K in acheiving higher RoI for monetary resources and optimisation of staff and volunteer expertise. A2K 2.0 as a response to FDC and Indic Wikimedians' Feedback: As a learning derived out of FDC, WMF Board and Indic Wikimedians suggestions, CIS-A2K has revised its program structure and composition of work. Please find details of revised divisional of responsibilities of A2K team. Partnership and networking with institutions and groups: CIS-A2K has had the privilege of partnering with educational institutions and developmental organisations. These partnerships and collaborations not only resulted in significant quality-content contributions, but also lead to the diversification and expansion of that particular language Wikimedia community. In order to strengthen the communities, increase participation and conduct GLAM activities and attract content donation A2K would look out for possible institutional partnerships. Providing sustainability and developing leadership skills: A2K has always worked towards enabling Indian Language Wikimedia communities to achieve sustainability and visibility amongst the global communities. We have been greatly privilege to work with the Focus Language Communities and would like to pass on our learning through collaborations with other language communities, while exiting few of our current FLA programs. Through our skill building initiatives such as Train-the-Trainer, Media Wiki Training and Train-a-Wikipedian A2K has also been able to support growth of a new community of volunteers to support the existing community. CIS-A2K started two community strengthening initiatives— Train-the-Trainer and MediaWiki Training to grow and strengthen the Indic Wikimedia projects and the associated communities, both qualitatively and quantitatively. The earlier iteration of these two programs played an important role in connecting the Indian language Wikimedia communities and fostering multi-lingual projects. This year also CIS-A2K proposes to undertake these two successful community strengthening initiatives. 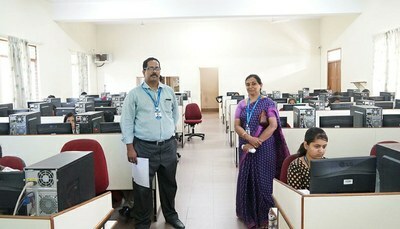 In mid-March 2016, CIS-A2K conducted a 2-day-long nationwide Wikipedia Education Program review workshop that brought students and faculty members from institutions that are running WEP in partnership with CIS-A2K and several important topics such as structural challenges such as academic schedule, institutional interest, faculty buy-in and more importantly response by the students were discussed. This year also CIS-A2K proposes to conduct such a workshop. CIS-A2K has been creating resources to help Indic Wikimedia communities. All the resources are created after assessing the communities' need assessment and close interactions with many of the active community members. FAQ for content donors –give this job to a law school intern. No need of this handbook to be translated to Indian languages. CIS-A2K regularly supports Indic-language Wikimedia communities to conduct workshops, edit-a-thons and events to improve their projects. All these requests are placed at CIS-A2K request page and fulfilled after extensive community discussion and needs assessment. Currently CIS-A2K is working on a program named Train-a-Wikipedian (TAW) to identify enthusiastic Indic Wikipedians and train and groom them to develop their editing skills. We'll continue empowering Indic Wikimedia community members through this program. Following the Global metrics and discussions some members of the Wikimedia community, the A2K program had put together some evaluation tools to assess the impact of its work during the last year. We have included some more metrics for evaluation this year. Last year we wrote about conducting monthly review and learning sessions. Currently CIS-A2K is conducting monthly learning sessions to critically reflect on the successes and failures of our work internally. The learnings are shared with Wikimedia Foundation for their feedback and suggestion. We'll continue conducting monthly reviews and learnings and progress will be shared with Wikimedia Foundation. We will try to share the same the Wikimedia India members. We appreciate your valuable feedback. However, for the sake of structured engagement by everyone, we request you to consider the following before you share your feedback. For feedback on respective Language area plans, please write on the discussion page of the respective language plan. Alternatively you could also share your feedback over e-mail at [email protected] Please use the subject line Feedback on Work Plan. Should you feel the need to discuss any aspect of the plan before sharing your feedback, please write to us and we can set up a telephone/Skype call.